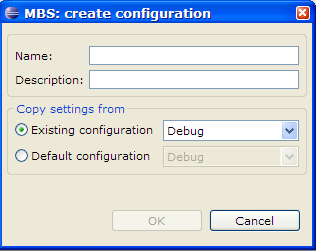 Creates a new configuration based on either an existing configuration or a default configuration. Name of the new configuration. Description of the new configuration. A list of existing configurations of the current project, to be derived from. A list of default configurations available for the current project, to be derived from.